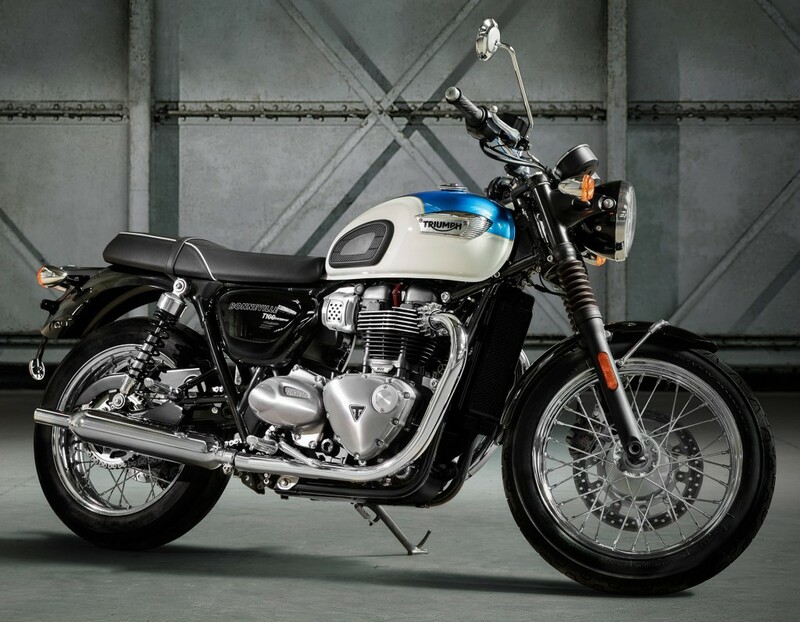 Triumph Motorcycles India has launched the 2017 Bonneville T100 in India at a starting price of INR 7.78 lakh. 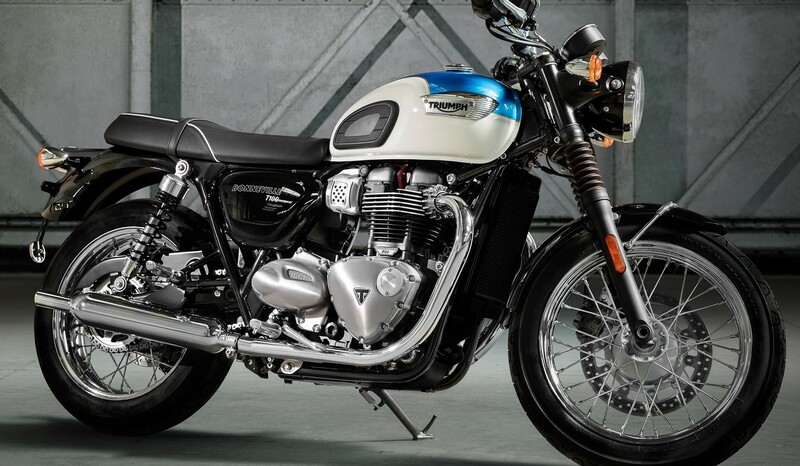 The motorcycle sits above Street Twin and below the T120 and Thruxton R in the Indian market. While the engine on the Street Twin has been shared with the T100, it houses the same fuel tank and shares the riding stance with the T120. 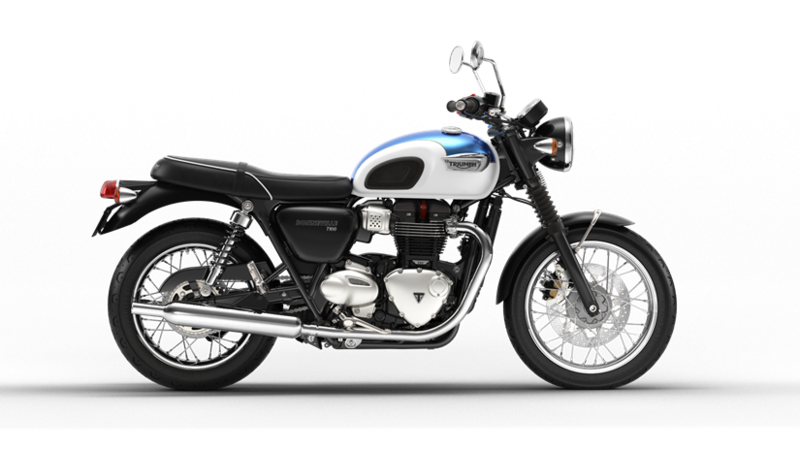 With this price tag, it becomes the second most affordable Triumph motorcycle of India. It uses a liquid cooled, 900 cc parallel twin engine producing 54 Bhp at 5900 rpm and 80 Nm of torque at just 3230 rpm. Using a five speed manual gearbox, the motorcycle claims a fuel efficiency of 26.10 kmpl. It weighs 213 kg (dry weight) and carries a 14.5 liter of fuel tank. The shades on offer include Jet Black, Intense Orange with England White and Aegean Blue with Fusion White. The new T100 comes loaded with features like ride by wire technology, traction control, ABS, USB power socket and even an engine immobilizer. 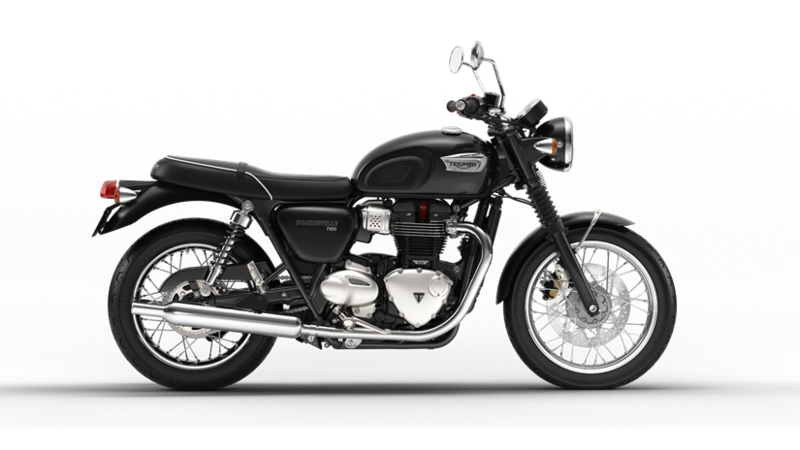 The front and rear wheel is shared with the T120 and uses 100/90 and 150/70 section tyres for front and rear respectively. T100 also uses 41 mm KYB front forks and KYB twin shocks for the rear.